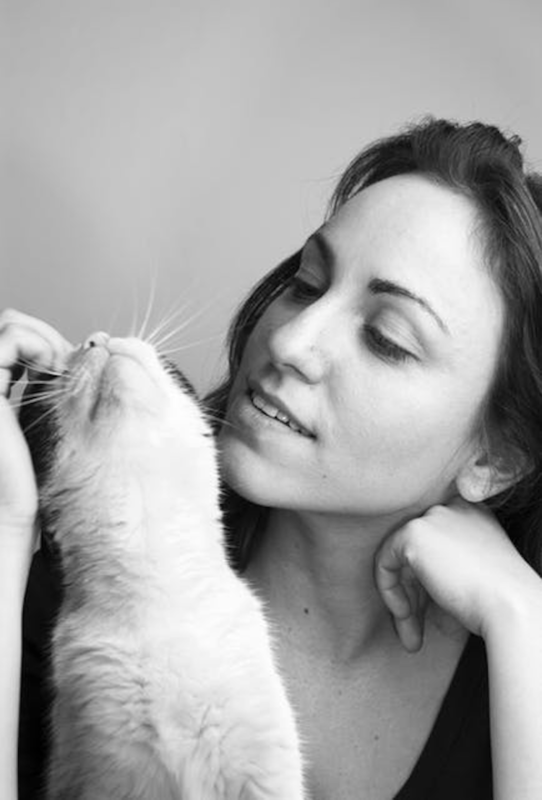 Cats are simultaneously our cuddliest, furry friends and the world’s biggest assholes. 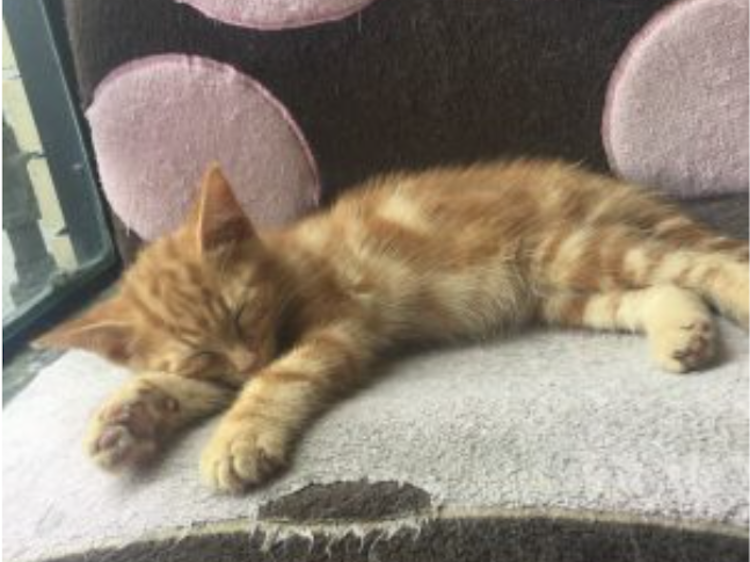 But when they’re not waking us up at 4 a.m. by plunking their entire bodies on our face, or knocking anything and everything that’s glass off of counters and tables, cats are said to be “emotional support” animals, or ESA’s, and the walls here in Toronto’s TOT Cat Café glorifies them. It’s my first time here at this café. I was required to make one café purchase – I chose my favourite, a pecan tart – and pay an additional five dollars to enter the kitty room. In total, I paid less than ten dollars to enjoy a sweet hour with the playful kittens, and have a tasty snack. The wall-mounted bar table I’m working at faces a wall decorated in touching testimonials that has me convinced that cat’s change lives. These cats have really changed people for the better. 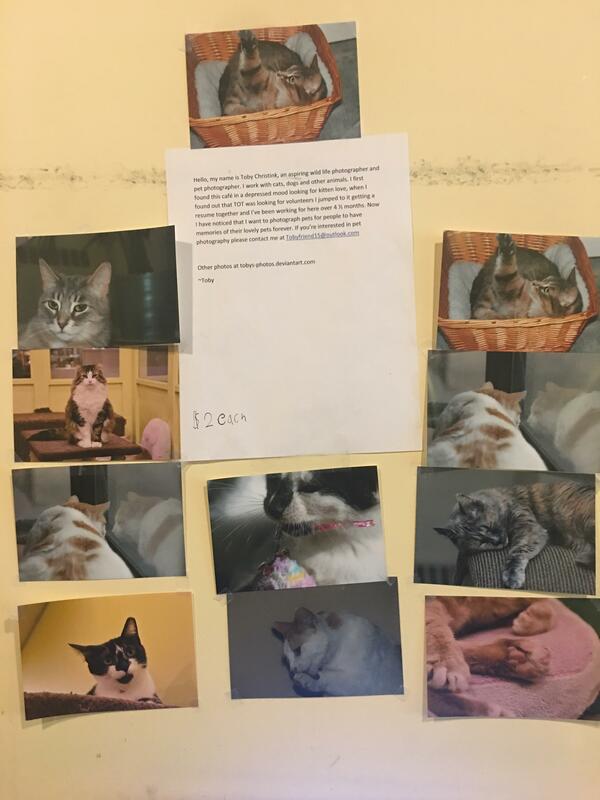 Photographs of adorable fur balls surround Christink’s letter priced at two-dollars each. Are they just fur balls though? Or are they powerful spiritual animals we just don’t give enough credit? 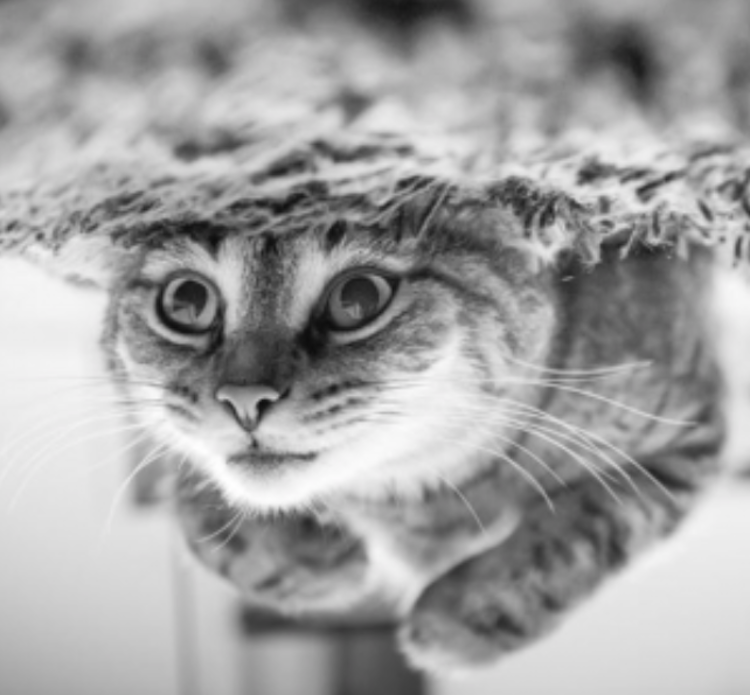 Cats help alleviate stress, anxiety and depression that people may be experiencing, making cats an adorable dose of natural medicine. The unconditional love these cats show, and the physical contact they give helps with alleviating these illnesses. Cat purrs are even scientifically proven to heal you by lowering blood pressure, lowering your risk of heart attack, strengthening bones and healing muscles. Other benefits include: sense of responsibility, breaking up the routine, activities, and companionship. It seems to have been a big help for Christink, who says that he came to the cafe with depression, however left feeling motivated and like he had found his calling, which was to combine his love for cats and photography. Another Torontonian, Bethany Davis, says that these cats have really helped her during a time when she was feeling homesick. Being a student is one thing that comes with stressful responsibilities, but being a student from another city, away from your friends and family, significantly adds to the anxiety. Davis found this café, and the animals here allowed her to relax and alleviate that built-up anxiety. She was able to express herself through her drawings and paintings, which she sells for $25 at the cafe. 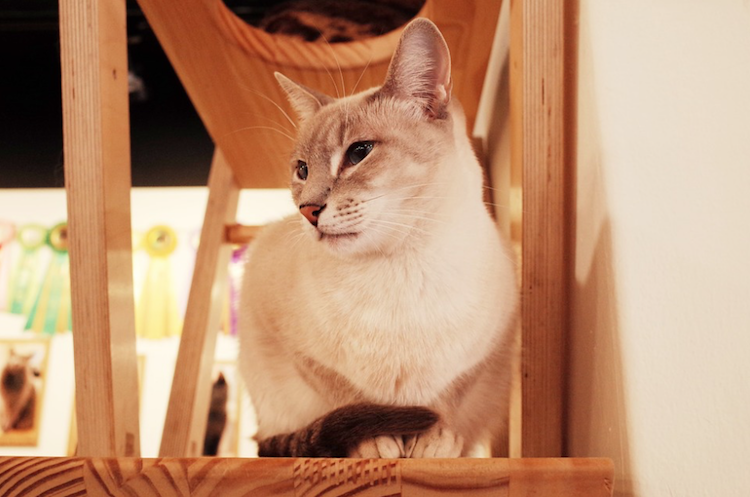 Places like the TOT Cat Café, are bringing humans, including those who suffer from mental illnesses, together with cats in an environment where they can conveniently reap the health benefits of these loving animals. 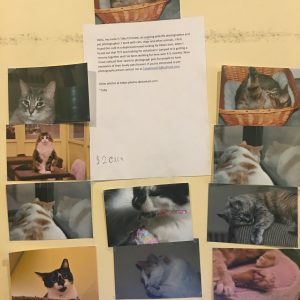 Furthermore, every cat at the cafe is available for adoption, so you can both continue to benefit from one another long after the cafe’s doors close.